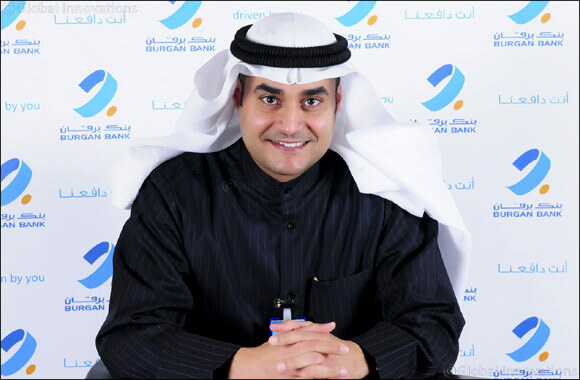 Kuwait – 29 December, 2018: Burgan Bank, the second largest local conventional bank by assets size in Kuwait, announced today the successful private placement issuance of KD 100 million bonds in the local market. The bonds have a three-years tenor, and carry a fixed interest rate of 4.125% per annum. This transaction, which represents the first of its type to be undertaken by a Kuwaiti bank in the local market, was oversubscribed, being well-received by both institutional investors and high net worth individuals alike. “We would like to extend our sincere gratitude to the country’s regulators for their diligence and professionalism throughout the transaction process” added Mr. Al-Ajeel. “This transaction demonstrates Burgan’s on-going strategy to diversify the Bank’s sources of funds, support the Bank’s balance sheet with secure long term funding, and meet regulatory liquidity requirements, which include the NSFR (Net Stable Funding Ratio). This type of bond creates a new asset class for banks in the local market.” added Mr. Al-Haqhaq. Issuance proceeds will be used for general corporate purposes. Burgan Bank has affirmed credit ratings of A+ by Fitch, A3 by Moody’s, and BBB+ by S&P underlying the credit strength of the Bank. NBK Capital and KAMCO Investment Company acted as Joint Lead Managers and Placement Agents on the transaction. International Counsel Bureau and ASAR – Al Ruwayeh & Partners acted as the legal advisors to the Bank and the Joint Lead Managers, respectively, on the transaction.